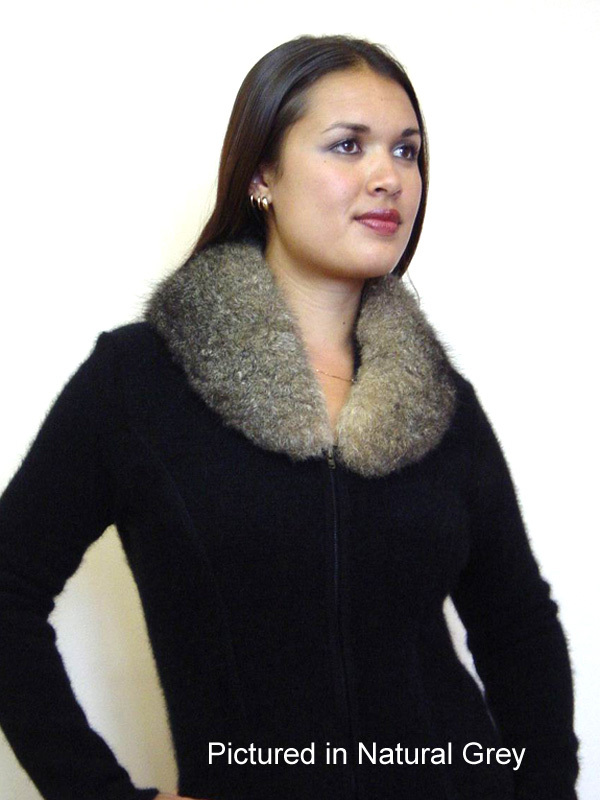 This possum fur collar was designed to co-ordinate with our Carolina knit jacket. However, it looks lovely as a fashion accessory. It is a shorter version of our Shawl collar and sits higher towards the neck. Wear with a high "V" neck closure or on it's own with leather tie included.